There’s a phrase that we hear often that goes like this: “Don’t let the sun go down on your anger.” Or: “Don’t go to bed angry”. I think that is an excellent approach to handle anger, most of the time, but I think there are moments when we translate it wrong. Don’t get me wrong, if it’s possible for you to sit down with your spouse every single time you’re angry and work it out before you fall asleep, that is amazing… keep it up! But, I think there is some anger that unfortunately won’t go away in one day. We find this kind of anger when we are severely betrayed, when we put our hope in something that doesn’t work out, when we have our hearts broken by someone we trusted, or when something precious is taken away from us too soon, when we aren’t ready for it... and it takes our breath and our peace away. Well, I think we sit still. And we get to know our anger. And I think, we intentionally choose to be very careful not to let our anger hurt anyone else. 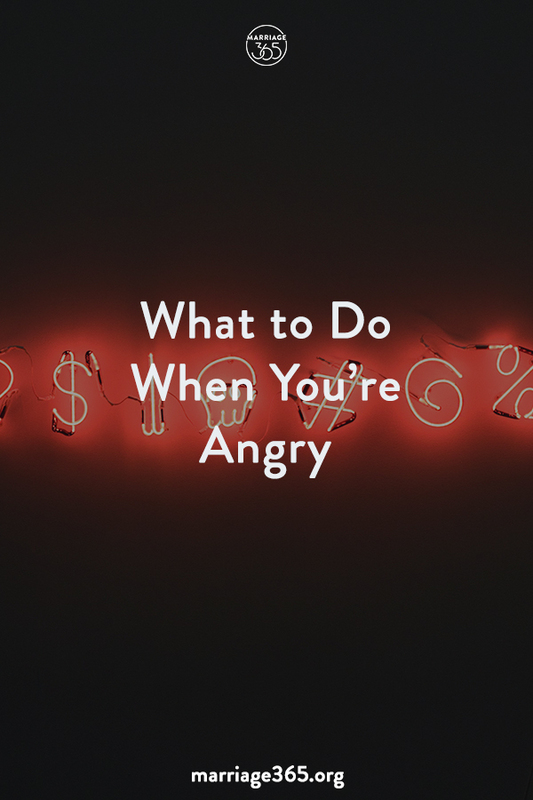 I think that “not letting the sun go down on your anger” can simply mean letting your spouse know that you are, in fact, angry — that you love them and want to work it out, but need some time and space to do so. Acknowledging your anger to your spouse takes the power away for it to turn into bitterness and contempt. These things are born in the secret, right? The more we sit and stew in anger that no one knows about, the more it begins to become dangerous and uncontrollable. So, acknowledge it. Ask for space, and be honest about where you’re at with it. Did you know that you actually have a right to be angry? Did you know that it’s actually perfectly okay to in fact be angry? Because you do. And it is. So, get to know your anger. Sit with it and journal through it. Write down everything you feel, and don’t hold back. See, when it comes to anger, the most important thing for you to do is get to the why behind it. So, don’t focus so much on the events going on, but unpack the feelings underneath them. That’s where healing begins. Be self-aware & practice self control. While you 100% have a right to your anger, you don’t have the right to hurt anyone else with it. So, as you are getting to know your anger and working through it, make sure that you are extra careful with your words and your actions. Unfortunately, actions done in temporary anger (even if it lingers for a long time) can have permanent results and consequences. So, as you go through out your day to day, keep in mind that your anger is inside you and it’s unhappy and that can make you feel pretty unhappy, too. Be sure to watch our webcast on the Do’s and Don’ts of Anger inside of MyMarriage365 and learn more about how to process your anger in a healthy way.